Of course Ageless Integrative Medicine and Laser Skin Care Center specializes in advanced skin care. As part of that practice, Seth removes moles, does biopsies, and documents skin mapping. He also makes stem cell activating platelet rich plasma from your own blood for aesthetic use, injects neuromodulators to relax fine lines, restores youthful contours with hyaluronic acid fillers, and treats varicose veins and spider vein with sclerotherapy. Seth is a member of the National Academy of Dermatology Nurse Practitioners. Contact your health care professionals to get copies of your recent medical records, including laboratory assessments. Of course, Seth may order additional lab work, if needed. Drop your records off at least one week before your appointment to give Seth time to review them. It’s helpful to have a journal of your activities, foods, sleep record, nutritional supplements, medications, and how you felt for three days (two weekdays, 1 weekend day). You can expect to have some of the same evaluations you are used to and some new ones as well. We strive to start your appointment within 15 minutes of your appointment time. To keep us on time, we ask that you arrive before your appointment time. Please have all paperwork filled out by the time your appointment is set to start. Please bring a prioritized list of issues you’d like to address. Seth typically types out notes regarding your concerns and provides you a detailed copy of your encounter by mail or email a week after your appointment. We accept Health Savings Accounts. We are happy to provide you with documentation you may need to file for insurance reimbursement of your visit. Your visit would typically fall into your out of network coverage. Although we are happy to help you with insurance requests, we do not participate in any insurance plans or file insurance at this time. For letters of medical necessity or complex forms, a form generation fee will be charged. A new patient holistic nursing evaluation is typically 1 – 1 & ½ hours in length and costs $200, regardless of length of the appointment. Subsequent appointments are billed in 15 minute increments at $50/increment. Your first follow up appointment will typically be 45 minutes. A new patient skin care evaluation and treatment is 30 min and costs $100. Follow-up appointments are 15 minutes. A new bodywork appointment is a minimum of 1 hour and costs $100, which also includes dry trigger point needling and kinesiotaping if performed. Follow up appointments may be 30 min $50, 1 hour $100 or 1 & 1/2 hours $150. Medications administered during your appointment represent additional cost. Fees may be paid by cash, check, Visa, MasterCard, American Express, Discover Card, or Care Credit. Returned checks will be charged the maximum fee allowed by law. We will happily order you labs through any of the local companies such as Solstas, Labcorp or Quest, who will attempt to bill your insurance provider. Advanced lab testing through specialty companies may not be covered. Although the most frequently used labs can be very helpful, their goal is to identify disease. Our goal is to help you reach optimum health. To do so, we may need to order more thorough labwork. If you pay cash at Solstas labs, you get a 50% discount on your labwork. You may still be able to submit your receipt to your insurance company. Although we will work closely together, neither Seth McLaughlin nor M. Dean McLaughlin will become your primary care provider. You must have a primary care provider for annual screenings, after hours care, and in-hospital care, if ever needed. We will not assume responsibility for you getting screenings such as mammograms, pap smears, colonoscopies, or laboratory studies. Telephone consultations are billed at the same price as in-person consultations. Payment will be due at the time of your appointment or before your appointment. We are available to all patients whenever possible by phone or email for clarification of treatment. According to the AMA, both phone and email communication are billable services. Due to the high volume of emails we receive, we ask that you keep email questions quick, clear, concise, and use yes/no questions. If you would like a lengthy email communication, understand that we can do so but we will bill for that time at the regular rate. We would rather see you in person for better communication. If we haven’t seen you in over a year, we will be unable to answer medical questions by email. In the case of an emergency, do not email us, call 911. Please understand that email communication may not always be secure. In your new client paperwork, there will be a consent form for non-encrypted email communication. We generally see patients every 3-6 months. If we order any prescription medication, you must be seen every six months, at minimum. To remain a patient, you must be seen at least annually. Nutritional supplements may be recommended during your appointment. With years of experience working with supplements, Seth may specify a brand of supplements to use. You may purchase supplements from local health food stores & pharmacies, from online retailers, or from our web store below. If you choose to purchase them from the webstore, you must have an access code given during your appointment. We request the kindness of 24 hours notice before an appointment is cancelled. If appointments are cancelled or you fail to show for your appointment, you may be asked to pre-pay for future appointments. After three short-notice cancellations or failures to show for appointments, you will be dismissed from the practice. If for any reason we ever have to change your appointment, we will endeavor to give you at least 24 hours notice as well. If Johnson City schools are cancelled or delayed for weather, we will be too. If delayed, we will give you a call after 11 to reschedule. If cancelled, we will call you the next day we can safely get into the office. Seth McLaughlin is a Family Nurse Practitioner board certified by the American Association of Nurse Practitioners and the American Nurse Credentialing Center. He is a registered nurse, certified sedation registered nurse, licensed massage therapist, and certified pharmacy technician. Seth is one of the authors of Complementary and Alternative Medicine Secrets, edited by Wendy Kohatsu, MD. He has also written numerous magazine articles. Seth speaks nationally at conferences for health care professionals about drug-herb interactions and other aspects of holistic health. He is a member of the American Holistic Nurses Association. He worked as an herbalist, aromatherapist, and pharmaceutical compounder at Mac’s Medicine Mart for fifteen years. He owned his own wellness clinic, Essential Therapies in Kingsport from 2000 to 2011. The supervising physician for this practice is M. Dean McLaughlin, MD. Neither Ageless Integrative Medicine and Laser Skin Care Center nor Seth McLaughlin, FNP-BC are affiliated with SOFHA. Dr. McLaughlin reviews many of the patient charts and is available for collaboration and consultation. Family Nurse Practitioner (2014), Advanced Practice Holistic Nurse (2014), Moderate Sedation Nurse (2011), Certified Laser Technician (2007) Comprehensive family medicine that includes conventional medicine, therapeutic lifestyle interventions, ear acupuncture, IV nutritional therapy, herbal therapeutics, and comprehensive skin care. In the operating room, I first assist during cosmetic surgeries, provide moderate sedation, and compound tumescent anesthesia. I perform aesthetic procedures using platelet rich plasma, dermal fillers, Botox neuromodulation, varicose vein sclerosants, Pelleve skin tightening, hyfrecator, cryosurgery, Candela GentleYag, Candela GentleLase, and Osyris Lipotherme lasers. FNP Student – Rotations included Family Physicians of Johnson City, First Choice Pediatrics, SOFHA OB/GYN, Niswonger Children’s Hospital Pediatric ER, Johnson City Osteopathic Medicine, Johnson City Internal Medicine, and Holston Valley Hospital Pulmonary Critical Care. Critical Care Registered Nurse – I worked as a critical care nurse at a level I trauma center. I placed post-pyloric tubes, titrated pressors, performed CVVHD, worked with ventilator patients and neurologically unstable patients with drains. I was part of the policy setting preceptor policy focus group. Licensed Massage Therapist, Owner – In addition to performing orthopedic manual therapy, myofascial release, and craniosacral therapy, I managed four therapists, two secretaries, insurance claims, a yoga studio, a coffee shop, and a retail space. Certified Pharmacy Technician & Compounding Technician – I acted as a consultant regarding drug-herb interactions. I coordinated testing services via Genova Diagnostics and performed CLIA waived testing. I also developed, marketed, and prepared pharmaceutical compounds. Pharmacy technician certification retired 09/16. Take Time Cancer, Sisters Breast Cancer, & Prostate Cancer support groups relaxation, nutrition, and self-care techniques. During clinical training of pharmacists at Mac’s Medicine Mart, I taught student pharmacists the basics of drug-herb interactions and pharmaceutical compounding. I introduced resident physicians to the basics of herbal and nutritional medicine during their alternative medicine rotations at Mac’s Medicine Mart as organized by Reid Blackwelder, MD. Dr. Arvigo is the student of the last shaman of Central America, Don Elijio Panti. She is also the author of numerous books on Traditional Maya Medicine. I studied Maya Abdominal Massage, herb identification, medicine making, pulse reading, and traditional application of herbs for physical, emotional, and spiritual use. Since my apprenticeship, I have frequently consulted for Dr. Arvigo and her students regarding drug-herb interactions and conventional medical surgical techniques. Dr. McManus trained me to compound capsules, tablets, alcohol-carbomer gels, pleuronic acid lecithin organogels, oral solutions, oral suspensions, IM injections, IV medical solutions, and IV nutritional solutions. He also trained me in bioidentical hormone replacement, herbal therapeutics, nutritional counseling, and environmental medicine with an emphasis on fungal remediation. Mrs. Tate has practiced as an herbalist since 1977. She trained in the Augusta Heritage Arts Program at Davis & Elkins College in Elkins, WV and developed curricula and reading lists regarding Traditional Appalachian Medicine for the Archives of Appalachia at East Tennessee State University. Training included: plant identification, wildcrafting, client assessment, aromatherapy, business practices, and herbal compounding for 13 years. Dr. Smith instructed me in cranial osteopathy techniques, facilitated positional release, assessment, personality analysis techniques, laboratory testing, nutritional supplement recommendations, hormonal balancing, and connective tissue release. 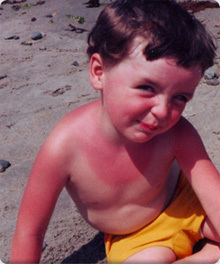 Just one blistering sunburn in childhood or adolescence more than doubles a person’s chances of developing melanoma, the deadliest form of skin cancer, later in life. The Skin Cancer Foundation.